Every [R25R, Aspen Skiing Company] employee will have a standard piece of equipment this year. Helmets are mandatory for all employees while on duty, and “clicked in” to their skis or snowboard. 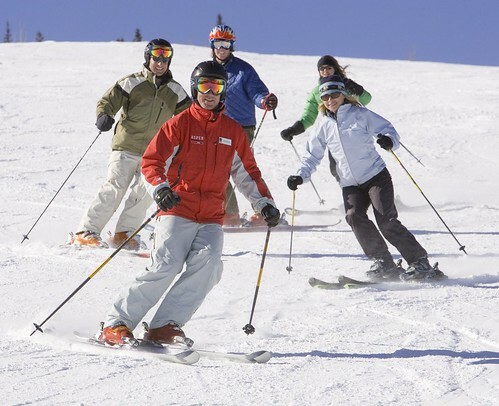 The company recommends all snowsports participants wear a properly fitted snowsports helmet whenever they are skiing and riding. It is mandatory for instructors to wear a helmet at Aspen/Snowmass. Photo Courtesy Aspen Skiing Company. If an employee doesn’t have a helmet, they will be provided one at no charge by corporate. The Aspen Skiing Company owns four area mountains: Aspen, Aspen Highlands, Buttermilk and Snowmass.